Carol delivers assemblies, RE lessons, Emerge and other projects in schools, working five mornings each week. Having spent 20 years working in a local Catholic girls’ school, Carol is embracing this new and exciting challenge as a fantastic opportunity to work with the secondary schools in Milton Keynes. Her Diploma in The Child and Education enabled her to work within the education system as a School Matron; she was part of the school’s pastoral team in her previous post and was an active member of the chaplaincy team heading up staff retreats. Carol is regularly involved in children’s and youth work within her local church, and she is also involved in summer holiday clubs, youth clubs and residential projects within the community. She is a trained counsellor, which allows her to support and encourage children, young people and adults emotionally. 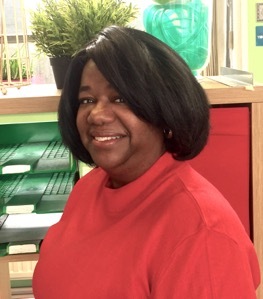 Carol loves Zumba, cooking and reading, and visiting family in America and Jamaica! She joined the Bridgebuilder team in September 2018 and hopes to bring a sense of fun to the office and to her work with children and young people. Fundraising Barn Dance, yee-hah! Get your tickets!